Your student has spent hours at the Michigan Union studying for exams, participating in student organizations, and attending events. Now your family can celebrate your student’s first day as a graduate in the same place - at the 2015 Commencement Brunch in the Michigan Union! 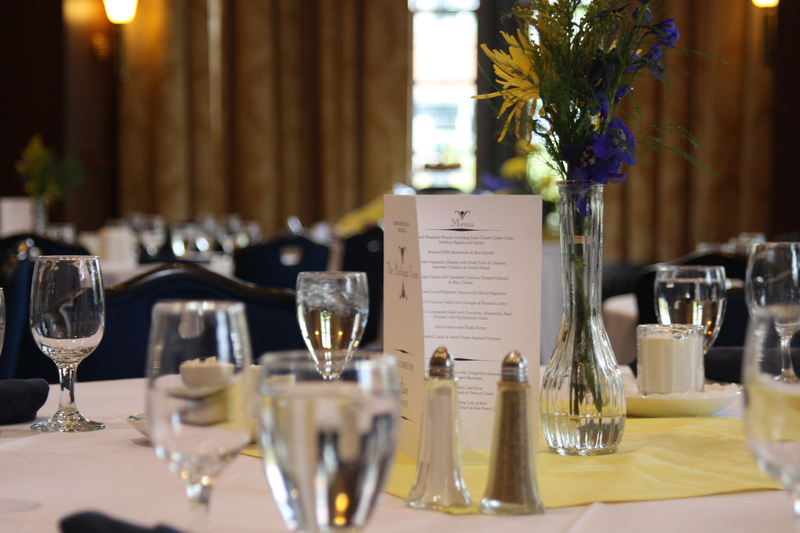 Located at the heart of campus life, the Michigan Union Commencement Brunch takes place on Saturday, May 2, following the graduation ceremony. The buffet-style brunch features a variety of elegant main courses, salads, breakfast items, and desserts-- all for $32.00 per adult and $17.50 per child, plus tax and gratuity. Your family can make a reservation now, or for more information contact Conference and Event Services at (734) 764-8837. On behalf of University Unions, Congratulations to the Class of 2015!